Art students had an assignment to incorporate materials from another class into an art piece. 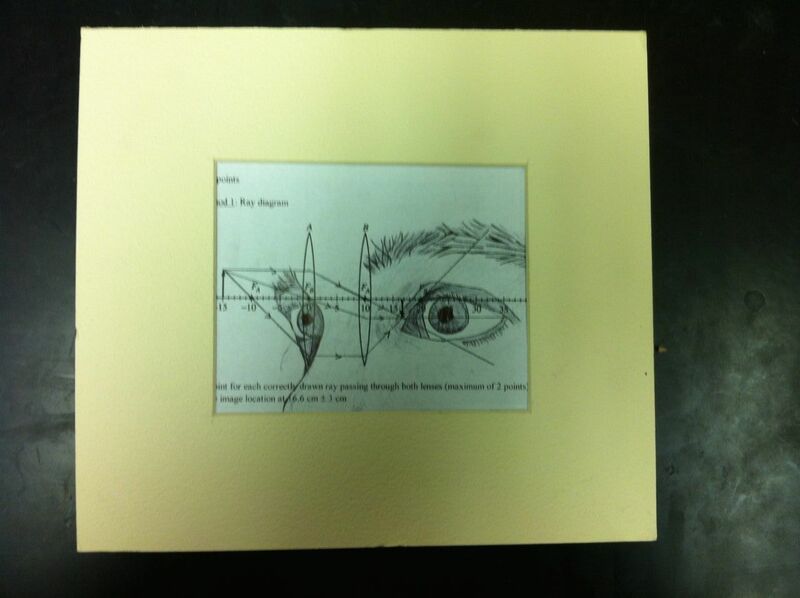 One of my AP Physics B students incorporated a geometric optics free response question into his piece. He gave me the artwork to display in the classroom. Awesome!